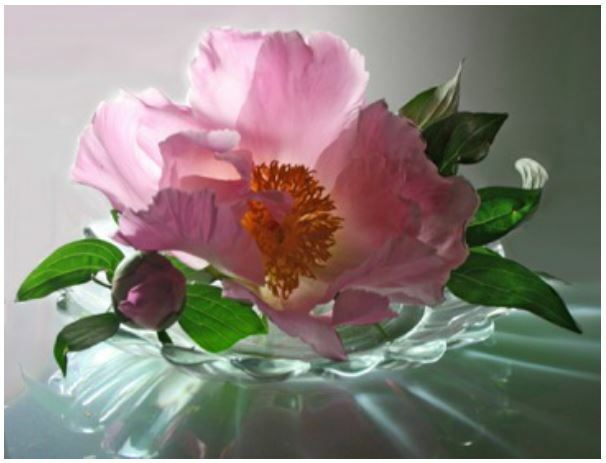 "Learn to draw Dramatic Lighting in Floral and Glass with Colored Pencil"
This beautiful peony will be your main project. You will also be able to choose a secondary project from Cecile’s other projects to start and then take home to finish. Cecile will begin by showing how she lights her dramatic still lifes and give you tips to create your own. She will then show you how to apply the colored pencil to create soft smooth blending. You will learn how to take the fear out of doing glass. It will be a very hands-on class and Cecile will share all the tips and tricks of using this wonderful medium she has learned over the years. Paper Stump medium size for blending (the stump has points at both ends and is pressed gray paper. Do not get the wrapped paper one with only one point and is hollow). Small soft brush to brush away pencil dust (can be cosmetic brush, or any soft artist brush). 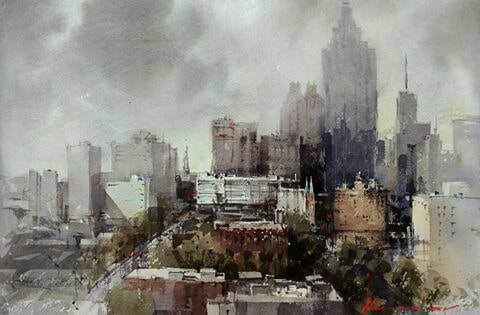 Academically trained master watercolorist Vladislav Yeliseyev (Vlad) will show you how to quickly capture the essence of the scenery with dynamic and powerful impressionistic approach. The artwork’s main message must be heard loud and clear and Vlad will show you how it is done in watercolor. 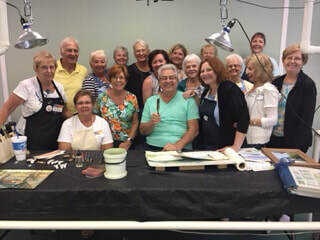 Vlad is a professional drawing and watercolor teacher year round at Renaissance School of Art in Sarasota Florida and he knows how to make progress with his students. It does not matter if you are the beginner, intermediate or advanced level because his method of teaching through an individual approach. Vlad developed color mixing techniques specifically tailored for his students so their journey to fine arts would be enjoyable and effective. Even seasoned painters will find his methods stunning in their clarity for achieving desired results. Nevertheless, above all, he knows that it is not enough to be a good and knowledgeable teacher, it is also about a friendly and easy going learning environment which makes the process of going forward so much fun and brings excellent results regardless of all circumstances. Vlad’s work is featured on the cover of February 2016 Watercolor Artist magazine. 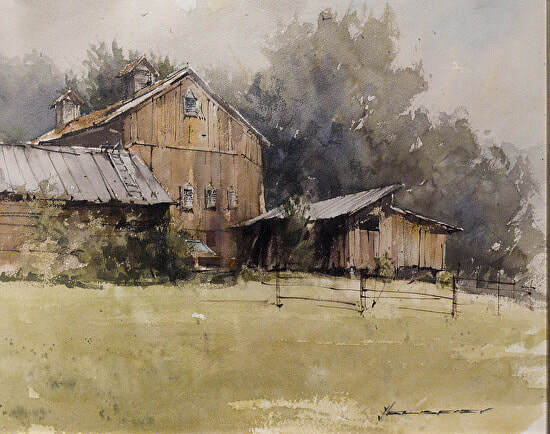 His technique was a subject of the articles in the national magazines such as Plein Air Magazine (June 2017) and Watercolor Artist magazine. He received various awards for his work including Best of Show of 2016 and 2017 Mountain Maryland Plein Air and Bold Brush Awards. Vlad is the signature member of American Impressionist Society and National Watercolor Society. Graphite pencils 2B, 4B; eraser; pencil sharpener. Watercolor paints - recommended colors: cad yellow, yellow ochre light, gold, burnt sienna, burnt umber, van dyke brown, sepia, indigo, ultramarine, cobalt blue, cerulean blue, cobalt turquoise, dioxazine violet, alizarin crimson, cadmium red. Right now my palette consist of mix of Holbein, Daniel Smith, Lucas and Schmincke watercolors. Watercolor paper half sheet, or block approx. Size 15” x 20”. I recommend Arches 90lb, 140lb or 300lb ROUGH – important!!! Brushes of your choice. I suggest having at least three sizes: No 8, 12, and 14. I am using Escoda Kolinsky No14, Escoda Perla No 10, 12, 14; liner brush No 6; Pro-Arte sword brush – large. Spray bottle - small with fine mist. Artist’s tape or masking tape. Paint palette 10” x 12” or bigger with at least three separate flat mixing areas. Paper towels and trash bag.